Pure art in a jar: Marianna Kazaki from Chalkidiki took tender vine leaves from the privately-owned vines and stuffed them with rice flavored with herbs, after she had boiled it and placed it in oil. 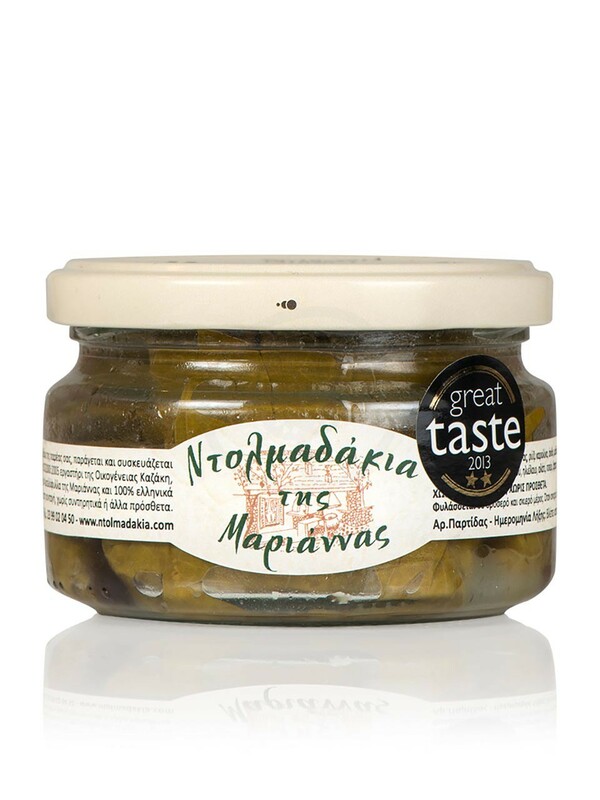 The absolute Greek mezé for an assortment for ouzo or tsipouro (grape distillate)! The stuffed vine leaves will taste even better combined with a light yoghurt sauce flavoured with aniseed and spearmint. The concept of "meze" is one of the main elements of the culinary culture of Greece. From the traditional coffee shops of the past up to the modern tavern, meze comes to our table in a wide variety of seafood, cold cuts, cheese and even nuts. Enjoy them with good company and traditional Greek distillates and drinks! Probably the most typical Greek meze of all! Ntolmadakia are especially enjoyed during the Great Lent but also during the summer.